← Art and Antiques: Come #fleaatthefarm! 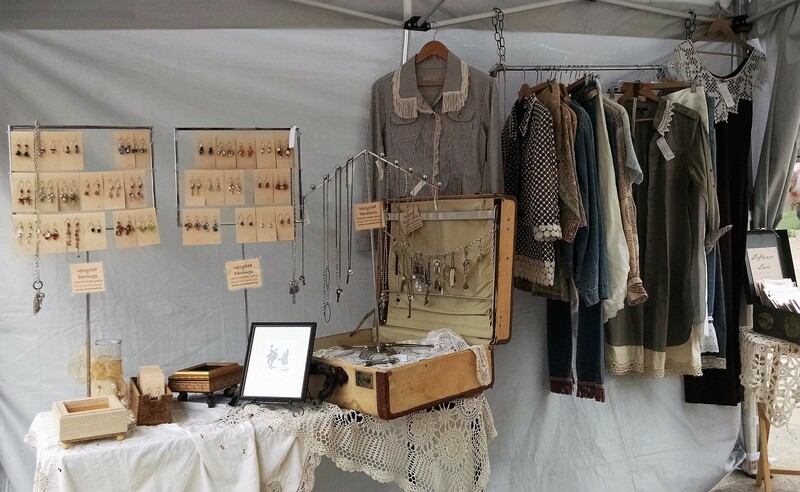 Looking forward to an exceptional 3 days at Vintage Market Days in Berea at the Cuyahoga County Fairgrounds, October 26-28, 2018! And who wants to win free tickets? Go to my facebook page, click here Fine Art Services / Fine Art Findings for details, ends October 24 at noon. I’ll be there with my upcycled boxes and mirrors, earrings and pendants made from broken jewelry, and Leftover Lace – clothing, gifts and cards embellished with leftover lace and anything else I find! Who needs a fun gift? 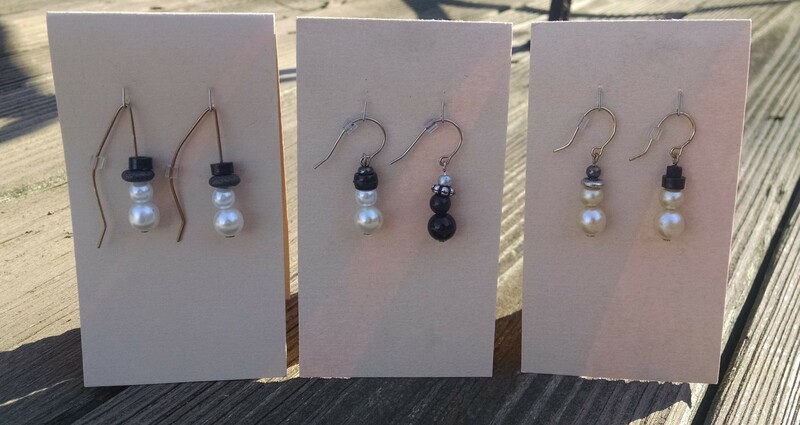 Check out my Snowpeople earrings! Made from broken jewelry so no two are alike – details on my Etsy page! This entry was posted in art services, boxes and mirrors, custom picture framing, installation, shows and exhibits and tagged #needframing?, boxes, Carolyn Birchenall, custom picture framing, Fine Art Services, fineartfindings, framing, jewelry, ohio, peninsula, upcycled, vintage, vintage clothes, vintagemarketdayscle, vmdcle. Bookmark the permalink.